Moscardo, Gianna (2010) Tourism research ethics: current considerations and future options. In: Pearce, Douglas G., and Butler, Richard W., (eds.) Tourism Research: A 20-20 Vision. Goodfellow Publishers, Oxford, UK, pp. 203-214. Historically there has been little discussion of research ethics in the published tourism literature. In the early era of tourism studies it is likely that researchers were guided by the codes of ethical research practice of the disciplines in which they were originally trained. If most tourism researchers had higher research degrees in the disciplines of anthropology, sociology, economics, psychology, and geography and they conducted research within the ethical frameworks that existed in those disciplines perhaps there was little perceived need to discuss research ethics. But three major recent developments suggest that it may he time to reconsider this situation. 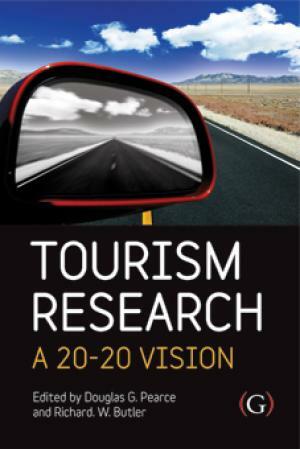 First, there is the emergence of new generations of tourism researchers who have focused on tourism as a specialised area of concern in its own right and who do not have the same background in an established discipline. There appear to be no guidelines for these researchers to follow. Second, in all of the established social sciences there are ongoing debates and critical discussions of discipline and topic specific research ethics. It seems unlikely that tourism research as an area of academic concern is immune to these ethical questions and concerns. Third, much attention has been paid to the ethical issues related to the behaviours of tourists and tourism managers. While there are examples of codes of ethical conduct for tourists and tour operators there seem to be no such codes to guide the behaviour of tourism researchers. Given these historical and contemporary situations it seems timely to turn our attention to tourism research ethics. • Describing some of the ethical issues that have been identified in recent discussions in the social science disciplines that may apply in the tourism research context. The chapter will seek to ask questions rather than suggest answers with the aim of stimulating greater awareness of research ethics and ethical conduct for tourism researchers.